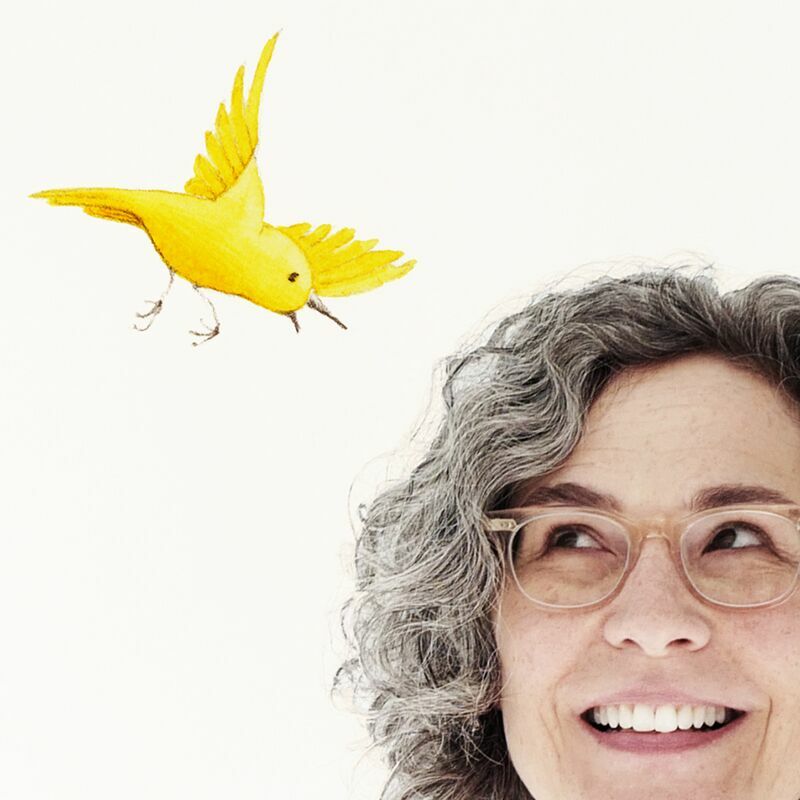 Deborah Freedman was an architect once, but now she builds houses and worlds in picture books for children. She lives in Connecticut, in a colorful house near woods, a muddy river, and a large rock ridge. 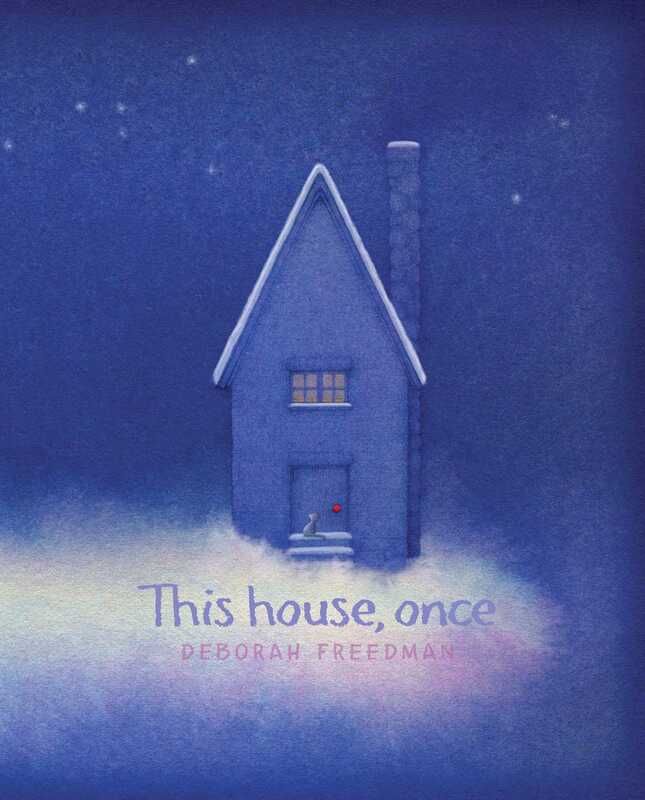 You can learn more about Deborah and her books—including Blue Chicken; The Story of Fish & Snail; Shy; and This House, Once—at DeborahFreedman.net. A Spring 2017 Kids' Indie Next List pick: "Inspired Recommendations for Kids from Indie Booksellers"
"Deborah Freedman's dreamy "This House, Once"...is not offering us a plan for some future home.... Instead the book is a blueprint for mindfulness and gratitude for the homes in which we already live. With the wooziness that comes from sitting close to a fire, and in a whisper of colors that have the hypnotic allure of bruises, Freedman deconstructs and rebuilds her toasty house...so long as the embers of Freedman's incantation continue to glow, I'm in no rush." *STARRED REVIEW* "Softly, poetically, an unseen narrator explores a house and what it is made of.... Using pencil (both gray and colored), watercolor, and pastel—all with a supreme delicacy—Freedman builds this house.... The arc emphasizes shelter but also human use of nature, so the feelings of warmth, safety, and coziness hold the faintest tinge of melancholy and loss. Tender, comforting, and complex." *STARRED REVIEW* "Freedman (Shy) lyrically meditates on the origins of a house.... "What were these all, once?" Freedman’s gentle inquiry is drawn with exquisite precision and quiet dashes of humor, and it will leave children thinking about the way their own houses are an extension of the natural world, with “memories” of the resources used to bring them into existence." *STARRED REVIEW* "In a story that’s more poetic than technical, select pieces of a home are highlighted to emphasize the idea that a house remembers.... Freedman has created a cozy offering to share that will spark curiosity. Conversations centered on questions such as, “How was our house made?,” “Where did the various materials come from?,” and “What function does it serve?” between a caregiver and child will carry on the ideas presented in this title long after it has been set down. VERDICT: A lovely, ruminative selection, best shared one-on-one or in a small group setting." "Combining lyrical language and cozy mixed-media artwork, Freedman celebrates the elements of the natural world (oak, stones, mud, rocks, and sand) used in the construction of a house.... Dreamy and imaginative."